When you're interested in tracking the calories you burn through exercise, you'll often hear people discuss the 3,500-calorie threshold. However, this number isn't representative of the calories you're likely to burn during any exercise. Rather, it represents the number of calories in a pound of fat. It's more realistic to burn 3,500 calories with exercise in a week, but not in a single day. Burning 3,500 calories daily in a workout is impractical to even attempt. A 175-pound person would have to run at 8 mph for more than three hours to reach this calorie goal, notes HealthStatus. It's improbable to expect to sustain such a pace for this length of time, even if you're an accomplished athlete. Losing a pound per week -- which requires you to create a calorie deficit of 3,500 calories -- is a sensible weight-loss goal. 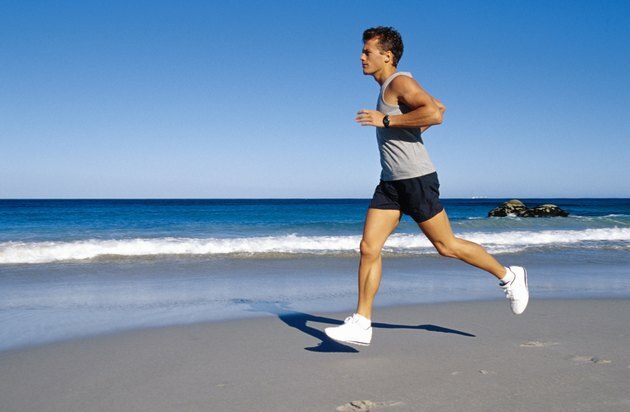 If you plan to exercise five days per week, aim to burn an extra 700 calories per day over the days you exercise. Burning 700 calories in a workout is more attainable; a 175-pound person would need to run at 5 mph for slightly more than an hour to reach this goal. This calorie deficit could also be reached by cutting calories from your diet in addition to exercising.